In the past seven centuries Dante has become world renowned, with his works translated into multiple languages and read by people of all ages and cultural backgrounds. This volume brings together interdisciplinary essays by leading, international scholars to provide a comprehensive account of the historical, cultural and intellectual context in which Dante lived and worked: from the economic, social and political scene to the feel of daily life; from education and religion to the administration of justice; from medicine to philosophy and science; from classical antiquity to popular culture; and from the dramatic transformation of urban spaces to the explosion of visual arts and music. 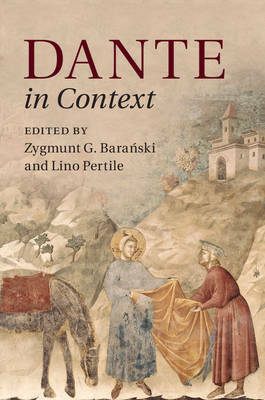 This book, while locating Dante in relation to each of these topics, offers readers a clear and reliable idea of what life was like for Dante as an outstanding poet and intellectual in the Italy of the late Middle Ages.